I Love My Abyssinian Paw Magnet - NEW! 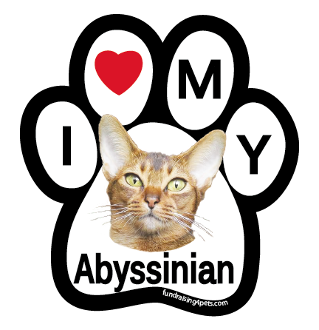 Our Products >> I Love My Abyssinian Paw Magnet - NEW! I Love My Abyssinian Paw Magnet - NEW! New cat breed paws in color!